NEW! 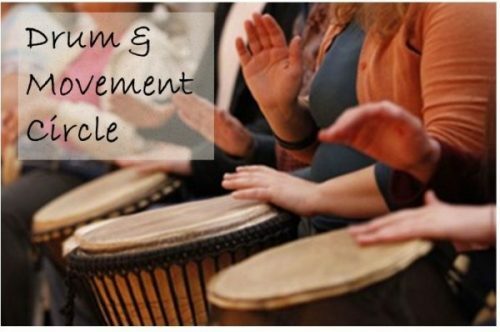 Drumming and Intuitive Movement Circle 7:00pm – Register 2 people at the same time and save 10%! Drumming and Intuitive Movement Circle is a participatory activity to explore and play djembe (African drums) and other percussion instruments. Connecting with your body and listening to your body to guide your movement. It creates connections, belongingness and unity. Everyone is welcome and no drumming experience is required. Be playful and creative in a non-judgmental and safe space. Percussion instruments will be provided or feel free to bring your own drums if you have one. Register 2 people at the same time and save 10%! Cris believes that everyone needs healing everyday whether physically, emotionally or mentally. She is very passionate in sharing all her healing works. Teaching Yoga, Thai Yoga Massage, Reiki, and facilitating drumming circle. She finds joy and healing in her work through the positive connection and energy exchange between her and her clients. She combined the divine healing of Thai Yoga Massage, teaching Yoga, Meditation, Drumming Circle and Reiki. All this designations are the inception of her healing journey. She’s still in the journey of finding more healing work for herself and shares it to others. Currently she’s doing a 1-Year Dance Medicine mentorship program.